With increased Pre-N speeds & coverage, you can more easily transfer large files! This is a great little gaming device. The macros and it's application are terrific. Definately a worthwhile investment if you're a fps gamer. The thumb-button that is supposed to represent the spacebar is too far away from the keys. You have to really stretch your hand to reach it. Like everyone else has said, the orange button above the thumb-pad takes too much force to press. It's virtually useless unless you can get it to soften up some. Other than that, I love this little thing. I wondered whether or not I would when I was playing my first few games, but now i am sure i made a good investment. Great controller - once you learn how to move the handrest! The reviews on here and elsewhere mention that you should give the handrest a "good yank" to adjust it. Well, I yanked and yanked, and it didn't budge... until I finally figured out that it doesn't slide back and forth! It lifts upward, off the unit! Lift it up to remove it. Then, you'll see two sets of holes - a set closer in to the keys and a set farther away from the keys. So, the hand rest has two settings. And, you can just keep it removed if you don't like it. I figured that if I can have this much problem trying to slide the hand rest out instead of lifting it up, then others might be having the problem too. Instructions are nowhere to be found on here, on the Belkin Web site, or in the boxed instructions. Unlike the other reviews, the keys on my unit are quite flexible... the stiffness is very minor. The unit is quite responsive. Plus, it seems to be very solidly built. The rubberized pad on the underside of the unit keeps it from sliding around too much on my desk. Being a tech, I tend to dislike using the software that comes with most hardware - printers, mice, etc. But after installing the Nostromo software, I found it to be pretty cool (looks like it takes up about a 4MB footprint). It's easy to use - plus, once you've got the keys mapped out for a game, you can set it up for automatic mode, so that each time that particular game is launched, that key map profile is automatically loaded dynamically. No manual switching of profiles is required! Fabulous for just about anything - works GREAT on a Mac! I spend a lot of time on my computer, for games as well as more serious pursuits. The n52 has been a surprisingly valuable and wonderful peripheral. 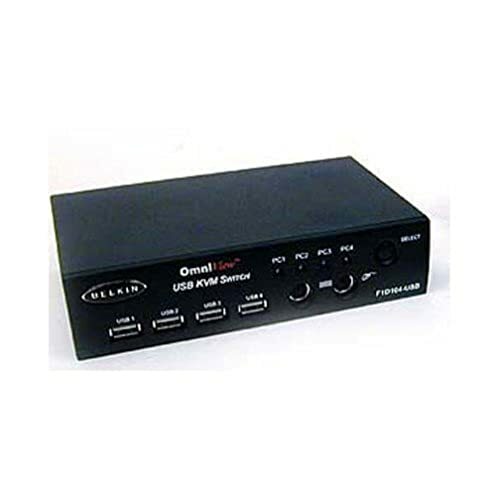 Though the n52 does not include Mac drivers or software in the box, these were easily downloaded from the Belkin web site, and they work great. Within a matter of minutes, I had the Nostromo set up for shortcuts in my major apps - Safari, Photoshop, etc. I use it a lot when web browsing, using the "cursor" keys to navigate through pages and browsing history, the directional pad for horizontal/vertical scrolling in a page, and a couple of other keys for cycling through tabs. For gaming, the n52 has also proven to be handy. It didn't take long for me to get it set up the way I like for Unreal Tournament 2004. I have cursor keys set to movement, various other keys set for my favorite weapons, and the directional pad set to jump or toggle the secondary fire mode. 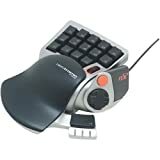 After a few hours of playing, I got to the point where I was actually playing BETTER using the Nostromo - probably because everything is all in one place, and it just "feels" like I have a more direct connection to the game. Anyway, the long and the short of it is this: the Nostromo n52 is incredibly useful whether you play games or not. I use it for gaming and for getting Real Work(tm) done, and it's proven its worth in both areas. I've generally had bad experiences with Belkin hardware, especially on the Mac - but the Nostromo is a definite exception. The drivers and configuration software are first rate, and I'm extremely happy with the whole package. Highly recommended! This device provides a good combination of ergonomics and functionality. It is certainly more comfortable than a standard QWERTY board. I have only two complaints. The big red thumb button requires too much force to push. To get it to work will almost always force the entire pad to slide to the left if not countered by holding down the unit firmly. Because of this, I would only find this button useful when pressing other keys at the same time is not needed. The other problem is the thumb switch, which mimics the placement of the "space" bar on a QWERTY board. This key is much farther from the other keys than it needs to be and also is a bit "finicky" in how it responds. If a standard 802.11g or 802.11b networking product is introduced into the Pre-N network, the Pre-N adapter will not drop to the lowest networking speed. When used with 802.11g & 802.11b devices, the Pre-N adapter improves their wireless coverage by up to 20%! After being frustrated with wireless networking on a notebook computer with the old Linksys system in our house, the Belkin notebook card works effortlessly!Our old system had our notebook computer off-line more than it was on.After the quick installation of this notebook card into our Dell Inspiron notebook computer, it works 100% of the time.We have the Belkin Pre-N Router as well.The system is well worth the money. 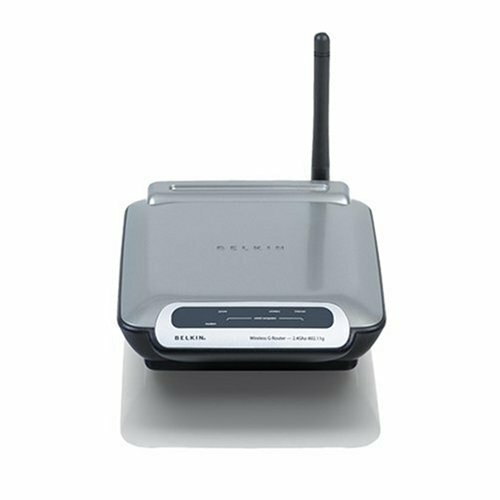 Forget about Linksys SRX, go with Belkin Pre-N! 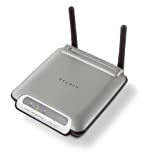 I had originally purchased a Linksys WRT54GX router along with the companion SRX wireless PC card because:1) I wanted to replace an 802.11b wireless network in my 2-story home for better coverage (I was having to use a Linksys wireless access point in repeater mode to get "complete coverage" with the old setup); and 2) I wanted a faster wireless network. 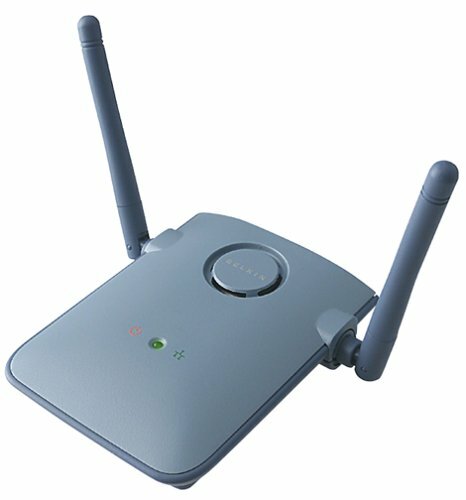 I quickly became frustrated with the new Linksys SRX wireless setup, primarily because my laptop (a 2004 HP model) wouldn't always detect the wireless card after powering up from sleep mode, and often there would be dropouts in my wireless internet connection, even when my laptop remained stationary.In addition, even though the wireless icon in the task bar would constantly indicate a connection speed of 108.0 Mbps, it was obvious that my new wireless internet connection was often far slower than even my old 11.0 Mbps wireless network connection!This problem was especially obvious with websites rich in photo-quality graphic images, like ESPN.com. So, I contacted Linksys tech support and, with the help of a friendly tech support agent, reprogrammed several parameters on the router.The problem improved, but only temporarily.Frustrated, I returned both the wireless router and the PC card and immediately ordered the Belkin Pre-N router and PC card (based on Cnet reviews, which rated the Belkin system higher anyway). Both the Belkin wireless router and PC card installed quite easily with the accompanying installation CD's and my system has been up and running without a hitch--so far.One other thing I have liked about the Belkin system is that (using the included Belkin Wireless Client) it displays realtime send and receive speeds of the wireless card, which are often slower than the 108.0 Mbps the wireless icon in the taskbar is constantly pegged at; but at least I know the "true" speed of my wireless network at any given point in time (the measured speeds that are displayed are constantly changing and fluctuate mainly according to distance from the router). Needless to say, I have been impressed with my early experience with this Belkin system and won't hesitate to highly recommend it to others considering a future home wireless network upgrade.Oh, and did I mention that the Belkin system was cheaper than Linksys'?!! Ok, so I bought the Pre-N router and it's unreal. Then I got the Pre-N card to go with it and had lots of problems. Basically the Belkin Wireless Client Utility is buggy as you like and has crashed EVERY time I tried to use it. So I downloaded Boingo's free wireless client, et volia, it connnects first time! The only downside is it reports the signal strength inaccurately. It shows a poor connection, which after using Cnet's bandwidth meter, I found that I have anything but. I have a cable modem and Cnet rated my connection as above a T1 and below a T3. Believe me it's super, super fast. this is a great wireless card with the best range/speed performance i have seen for a card without an external antenna. the only problem i have encountered so far is it will not operate on batteries in my fujitsu p series lifebook. it looks like the card simply pulls too much power and will lock up the notebook when i switch to batteries. combined with the pre n router this is a great combination for situations where it is difficult to get a good wireless signal. i live in a concrete house and was using a linksys with a repeater to get to the dead spots. the belkin pre n has allowed me to eliminate the repeater and actually get better throughput. Note:This is not an actual review of the product because I cannot install it. On the other hand, I recently installed a Pre-N router and use it with some 802.11b wireless devices, and it works great--noticeable boost in both range and throughput. J. Lovell complains that the card doesn't work with XP. Mine does, and beats hell out of the D-Link it replaced, which was always flaky and finally quit altogether (I ended up only able to talk to the router, not the Internet or the rest of the LAN). The Belkin does have a problem: crappy manual. When it says "insert card with the label side up" what it means is "insert card with the label side down." A little experimenting outside the computer reveals how the card is keyed. 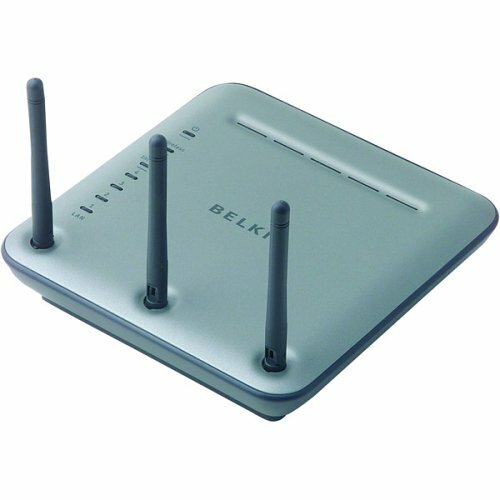 i purchased this card to work with the pre-n router the belkin offers. i should have know a better when i looked at the box that it was going to be trouble. as you can see from the picture, this is just the cardbus pre-n (f5d8010) card bundled with a pci-to-cardbus adapter. 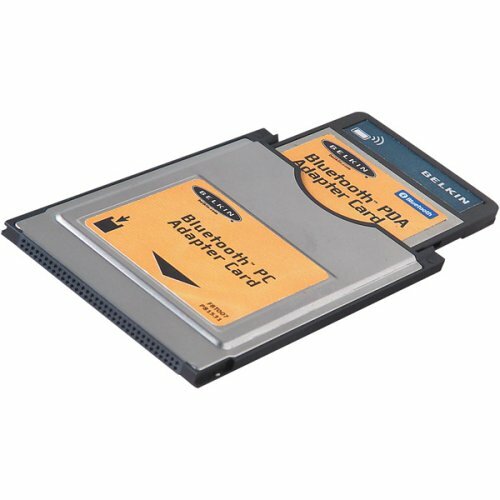 installation failed, as windows xp seems to be able to only support 16-bit pcmcia cards with the pci-to-cardbud adapter that belkin provides (ricoh r5c520-based contoller). after multiple calls to support where they spent 10 minutes asking me if i was inserting the card correctly over and over. each call ended with either "call microsoft" or "we'll call you back within 48 hours". i'm still working this issue to resolution with belkin, but i don't hold out much hope. dude! i did! maybe it is a compat issue with the nForce3 chipset and the ricoh adapter. i don't know, but after replacing the card with a new one and getting the same message when the card was inserted, i quit and returned it. "The device Ricoh R5C520 Carbus Adapter has detected a CardBus card in its slot, but the firmware on this system is not configured to allow the CardBus controller to be run in CardBus mode. 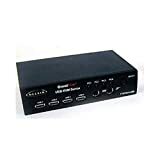 The operating system will currently accept only 16-bit (R2) pc-cards on this controller." 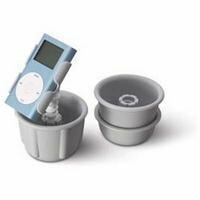 The Belkin Tunedock achieves exactly what it sets out to do - provide a solid, flexible mounting solution for your iPod, iPod Mini or XM Radio (there are multiple versions of the 'dock).The color of the iPod mount is off-white - closer to grey really.The XM mount is black. The unit comes with a series of mounting cups that provide the base that fits into your cupholder.A stem then screws into the base.The mounting platform is attached to the top of the stem.The screw-in nature of the stem allows you to provide some degree of height adjustment and the mounting platform itself pivots to whatever angle works best for your mounting position. I was seeking a simple solution for mounting my iPod and XM Radio and did not want to take apart my dash or drill into something in order to achieve it.My cupholders are located in the dash, just above the radio in my 2001 VW Jetta.For me, the location is perfect and the 'docks hold their units firmly and stiffly enough that you can push a button or turn a wheel without having to steady the mount.The "cable management" clips on the backsides of the mounts are fair, but it would be better if you could clip them closed (they are open at one end). If you are looking for an "elegant" solution, this is probably not the mount for you.The grey/white matches my interior, but really, I have radios sticking out of the front of my dash in the cupholders - this is not about looks.Note that the picture shown here is of the mount for the regular iPod - not the Mini - there is a slight difference in that there is no suction cup for the Mini version - but instead it is a stiff, but flexible rubber that secures your mini from both sides (the width is also perfect for holding my cell phone when I don't have the mini mounted). Another commentator criticized this mount because it got in the way of his shifting.I suppose he could just as well write a bad review about his car for the same reason.Before you buy these, you should also really think about where your cupholders are located.If the location is marginal, or hard to reach, or requires you to run wires where you don't want to run wires then find something else.The unit does exactly what it sets out to do - allows you to mount your iPod from your cupholder. The idea behind this product is good, but the actual product is less than ideal. The appearance is cheap and the configuration of pieces that I had to use with my particular car made it look homemade. If your cup holders are shallow (an inch deep or so) and of a certain diameter you must use the base with an adapter cup that makes the setup look silly. This configuration also sticks up too far. If you have a manual shift car with cup holders near the gear shift, be warned that you may find yourself hitting your iPod with the gearshift/your hand. Also the color is a dishwater grey -- not exactly appealing. Overall, a disappointment in looks and performance. Simple Installation - remove the cap and plug it into an available USB port! 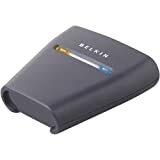 The Belkin High-Speed Mode Wireless G Router with Built-In USB Print Server shares your broadband Internet access with your connected computers and enables them to print wirelessly to your USB printer. 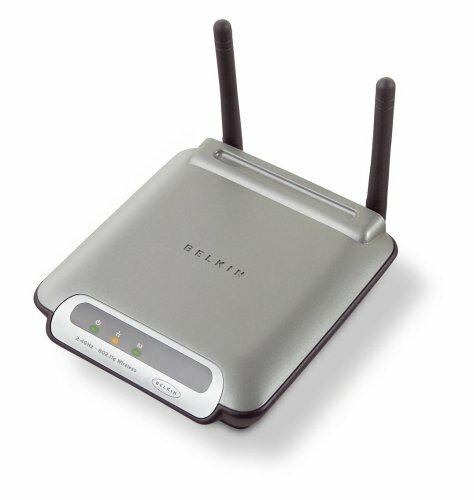 With a Belkin Router as the central connection point of your network, your computers can share files and resources as well as print and get online, all at the same time. By achieving networking speeds that are faster than standard 802.11g, Belkin High-Speed Mode (HSM) networking products provide increased real-world networking speeds. This means you will see overall speed improvements in mixed-mode networking environments where other 802.11g devices may be present. HSM offers even faster speeds in pure HSM environments. HSM technology is interoperable with all other wireless devices. 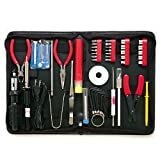 I've asked amazon to delete this review, it referred to an issue that does not apply to this hub. This hub is possibly the worst USB hub I have ever used- it loses connection when placed vertically as well as the fact that it seems to work completely sporadically. I definitely would discourage any would-be buyers from this item. Strangely, all the other Belkin equipment I use works swimmingly- perhaps this is simply an anomaly in their lineup. When I received this 7 port hub, I had high hopes. It looks nice, has 5 ports in the back and two convenient ports on top. But it has two very odd weaknesses. First, when you plug it in, a red power light comes on and all 7 port lights are lit. What good are the port lights if they are lit even when no device is plugged into that port? The other odd behavior is that devices that are plugged into the hub are powered on even if the host's USB port is not powered up (i.e. the computer is off). In fact, the devices are always powered on even if the hub is not even connected to the host. My computer is off, but my USB illuminated keyboard is still illuminated, my USB microphone's power light is on, my USB wireless network's power light is on, etc. According to Macintouch, Belkin provides Mac OS X and 9 drivers. Can anyone tell me how well this works with a Mac? I'd buy one immediately for my old tangerine iMac (it's the only computer left out of my wireless network at home.). I did see a comment that it didn't play well with an Airport Base Station... how about Linksys? Thanks, and if I decide to buy, I'll update this to reflect my experience. Like you, i'm trying to set up a wireless network; i'd like to connect my old computer (running Windows ME) to my newer desktop running XP. I bought this device at Staples b/c of its price and because it clearly stated it supported XP and ME. Well the drivers were no good for WinME, even the newest drivers from their website would not install correctly. So it was a dead appendage. Their tech support suggested I try it on a third computer we have, it runs XP. Well it installed fine, but could not link to my network (Netgear router), even after tweaking the router settings. He said he was getting a lot of calls with the exact same problem and suggested I return it and try another device. If possible I'm going to get a refund and buy a little better one - maybe a PCI wireless adapter, instead of the bottom of the barrel cheapo which is my wont. When will I learn? Learn from my mistakes folks and move along - nothing to see here. Works Great!!! For about 2 months. I installed this wireless network adapter on my desktop (windows xp). It worked very well for two months, then just unexpectedly died. I would try to reinstall it several times off the product CD, each time telling me a different file was missing, even though the files appeared to be installed (at least I could see them in on my hard drive). Downloaded the drivers from the Belkin website, but that also failed to get this thing to work. This adaper would be recognized by XP, detect the network signal, but it would always tell me "connection failed". Spend your money on a more robust wireless adapter. WinXP + WEP == Choose ANY other product than this one. First, the drivers packaged with this unit DID NOT WORK. Had to go to belkin.com and download the latest drivers (not the simplest thing to do without a functioning network adapter, eh?). While those drivers sort-of work, they are still extremely flaky. Not signed/certified by microsoft. I use WEP to secure my network... this device does not retain the WEP key/settings after a reboot. So, every single time you reboot, you have to re-enter the WEP key and manually start the driver utility. Signal is very weak - if the signal is lost for too long then the system will eventually hang and reboot itself. It was easy to set up, and works well with all my Windows XP Pro boxes. Switching between PCs is fast enough, with only about a second delay (typical of KVMs in general) to restore the mouse pointer. Once locked to a particular PC, the KVM is very stable. I've had no problems with either the video display or keyboard/mouse functionality on any of my Windows-based systems and can play games as well as perform all normal office-type tasks with no noticable performance degradation. The only issue I have is with losing mouse control when switching to my Red Hat 9.0 server running X (not a big deal since I primarily access the terminal from the command line on remote anyway). There is no issue when I boot up the Linux box and use the KVM without switching to another workstation. I suspect the problem may be fixable, but it has never been enough of an issue for me to pursue it, given my needs. The unit has the unique ability to support stereo audio as well as firmware upgrades. In addition, the cable management is cleverly built in to the sleek housing as opposed to completely exposed as in most square footprint KVMs, thus saving a small amount of desktop space. Like a '54 XK120, this thing is beautifully styled, and utterly unreliable. It randomly loses connectivity to both my Intellimouse, and my MS USB keyboard. 30 - 90 secondes go by and then it reconnects, sometimes to redisconnect within seconds, sometimes it'll stay connected for half an hour at a time. Weirdly, it seems to maintain connectivity to the Monitor - though often as a generic display rather than as a flat panel Samsung. I used an IOGear two port KVM successfully until I got the third machine going, but I got sucked in by the style. my mistake! I give it 0 stars for performance, 4 stars for style, average, 2 stars. Linksys and IOGear out-perform this failed product. In my search to find one adequate KVM switch to work with Windows and Linux, I now own five KVM switches (around $450 worth). The Belkin Omniview is the worst of the lot. I have one Omnicube which gets by O.K. A two port IOGear all-in-the-cable model works great, but IOGear's four port models have intrusive keyboard shortcuts that interfere with applications and games. However, the 4 port IOGear model came with a full set of cables. Ultimately, the Linksys SVIEW04 was the grand solution. The SVIEW04 provides all the quality of the IOGear models and also allows the keyboard shortcuts to be disabled. Unfortunately, the magazines that have been recommending these products haven't been doing their research. You must investigate all the specifications, and you must also read the entire manual before buying. Someone might have noticed that the firmware update feature on the Omniview isn't well documented. Then, there must be testing of all the features with multiple operating systems; and clearly, those recomending these products have failed to do this. Linksys (the best) and IOGear are clearly better products than this one. Reliable, but slow and annoying. Monitor switching between computers is fast, but it takes more than a second to regain mouse and keyboard control after switching. If using the Logitech mouse driver, scroll wheel functionality is lost after switching several times, and you must reboot your PC to get it back. However, the manual recommends that you remove vendor-specific drivers and use only the Microsoft driver. This works for me & it never seems to drop synch with the mouse or keyboard, but I would like the battery-level indicator for my Logitech wireless mouse, which only the Logitech driver provides. The hot-key for switching is ScrollLock-ScrollLock, which I prefer to CTRL-CTRL (Linksys KVMs use CTRL) because CTRL is too easy to tap twice by accident. The KVM beeps when accepting the hot-key and switching between computers, which quickly becomes annoying in a small office environment. 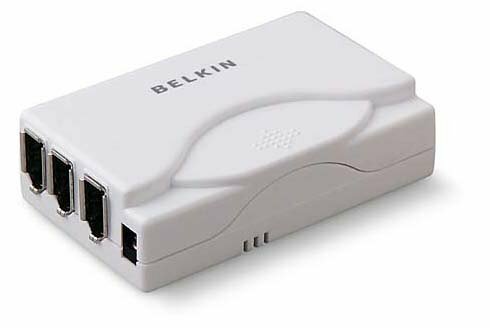 The Belkin wireless notebook network card works as a standalone to give you instant networking capabilities. 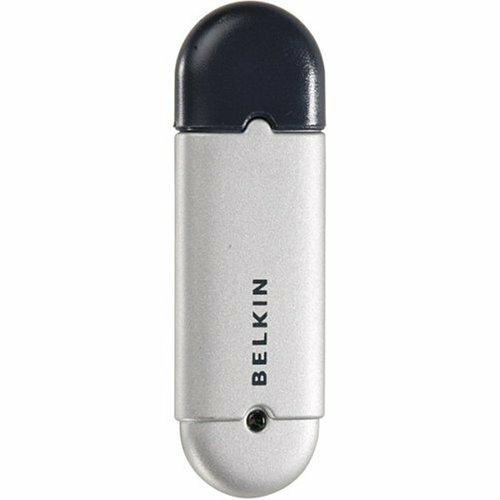 The card slides easily into your laptop's PCMCIA slot, and sets up quickly with Belkin SOHO networking software. Used in conjunction with a wireless access point, the card lets you join your wireless network to your existing wired network. 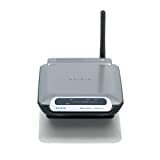 Interoperable with any 802.11b wireless device, it uses the 802.11b wireless Ethernet standard to offer you a working range of up to 1,800 feet and speeds of up to 11 Mbps. 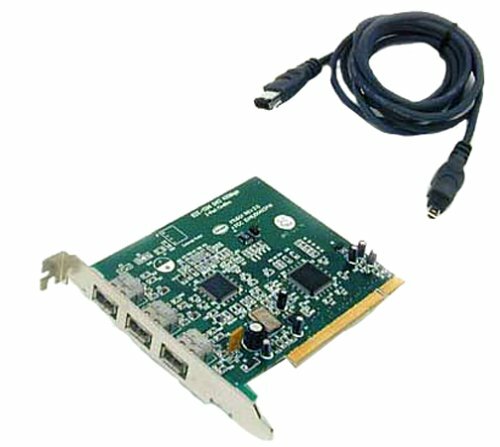 This plug-and-play card works seamlessly with Windows 95B, 98, 2000, NT, Me, and XP systems. Now you can transfer files around the house or office--enjoying freedom from cables, along with all the advantages of a wired network. Despite the bad reviews, I had really good luck with this Belkin card. I'm an American living in Spain, and tech prices tend to be higher here. I bought this "old technology" 802.11b (not 802.11g) card because my ADSL line can only handle 512K downloads, so the 11Mps vs. 54Mps isn't really an issue. In fact, for $35, I found this card to be a bargain option. If you are looking for a good, cheap card, you might give the Belkin a try. 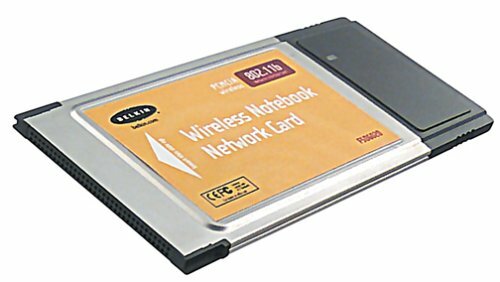 Belkin 802.11b Wireless Notebook Card. and wireless comfort all rolled into one ! forward, except that when configuring there is a delay in what is typed and what is seen on the screen. only at a distance of 150 feet and have experienced speeds of 8 Mbps. So I highly recommend this product to anybody who is looking for a wireless connectivity for their laptops. After struggling to get my Belkin Wireless card to work in my laptop running Windows 95B I finally called for Tech Support. According to them, only Version One of their wireless card will work with 95B. I had a Version Two. Version One cards can be identified by a single LED Light on the card while later versions have two lights. At any rate, I've still been unable to get the card to work with Windows 95B as its been advertisied. Tech support was no help after I exchanged my Version Two Card for a Version One and was down right rude after I followed their instructions and still couldn't get the card to work. 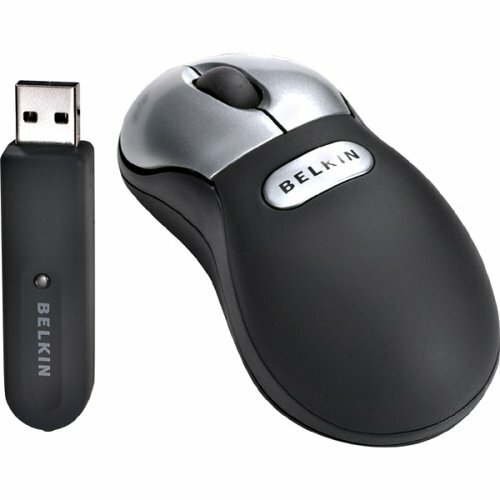 This is the Belkin - Mini-Wireless Optical Mouse that you can see more about on Belkin's site. 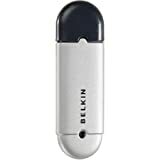 I tried three wireless mice so far, all of which I bought from Amazon at about the same time (March 2003); they are: the Kensington StudioMouse Wireless, the IOGear Phaser, and this one, the Belkin Mini-Wireless Optical Mouse. You can read my reviews of them on Amazon. I end with this one because, although it can use improvements, it is by far the best product of the three. 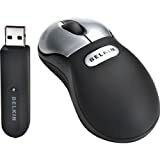 First off it features USB connectivity, a small wireless receiver that juts out of your laptop's USB port, and it comes with a cable if you're using a desktop and you need to bring the wireless receiver closer to where you're using the mouse. It does not ship with a USB->PS2 port (wise because notebooks now seldom ship with a PS2 port and because USB is hot plug-able & Mac & Windows compatible). In my testing the mouse works at two feet away from the receiver comfortably. At the advertised three feet, you get patchy and jittery results, beyond that, nothing. Since it is symmetrical, it is the same for left or right handed use. It's rubberized sides and rear and wheel feel good. Most notably, it really is "mini". It is probably 2/3 the size of an average mouse. This takes getting used to and I'm not yet sure if it's ergonomically straining. I do notice that I switch between left to right hand more than I used to, but that may be because I'm getting used to my new Powerbook's keyboard. The small size is likely going to be the main subject of debate about this mouse - at first, you may not like it, but given time, I'm surprised how monstrous my ordinary mice feel. When the silver region in the center (which says "BELKIN") is depressed, the rear pops off so you can change the batteries. That feature is a brilliant way to solve the battery changing problem. It ships with two AAA alkaline batteries. For the first two-three days, rechargeable batteries work great. When they start to run down, you'll see the performance of the mouse degrade. This is a feature of rechargeable batteries, not the mouse; at that point, just leave the batteries in the mouse overnight, and it will run them down to nothing so you can recharge them from 0%. Normally though, you'll want to shut off the mouse when not in use for long periods - you do this by shifting a small digit from one side to the other on the bottom of the mouse. It is hard to get your fingernail into this little groove. It scrolls well, but the scroll wheel makes a clicking noise - I think it should be silent. Same with the two side buttons - they do as expected but make noises - they too should be silent (if I click I click, if I scroll I scroll and it all happens on screen - I don't need the sound effects to reinforce what I just did). It's optical tracking runs at 800 DPI. Overall, this is a fine mouse. I looks really good. People are impressed with it and want to play with it. It's the perfect weight - a little on the heavy side but I like that because it feels like I'm moving something more substantive than a light-as-a-feather mouse.